Mr. Charles Edward Cole, Jr. Celebrating the life of Mr. Charles Edward Cole, Jr.
Be the first to share your favorite memory, photo or story of Mr. Charles Edward. This memorial page is dedicated for family, friends and future generations to celebrate the life of their loved one. 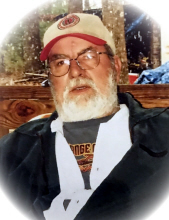 Obituary for Mr. Charles Edward Cole, Jr.
Mr. Charles Edward Cole, Jr, age 72, of Dallas, Georgia, passed away on Wednesday, January 16, 2019 at his residence. Mr. Cole was born on November 7, 1946 in Bartow County, Georgia to Edwin Cole and Helen Mozelle Grant. Prior to his passing, he worked as a heavy machinery mechanic for Butch Thompson Enterprises. He was preceded in death by his parents, Edwin Cole and Helen Mozelle (Grant) Cole; his brother, Larry Cole; his brother-in-law, Ricky Lingerfelt and his in-laws, Mr. and Mrs. Auburn Pope. Charles is survived by his wife of 53 years, Joyce Cole; his son, Todd (Lisa) Cole; his son, Jeff (Tammy) Cole; his son, Casey (Heather) Cole; his grandchildren, Chloe, Madi, Gracie and Raylan; his brother, Kenneth Cole; his brother, Billy Cole; his sister, Lynn Lingerfelt; his brother-in-law, Phil (Dot) Pope; his sister-in-law, Rita (Ricky) Hulsey; his brother-in-law, Alton (Donna) Pope; nieces, nephews and cousins also survive. It was Mr. Cole's wishes to be cremated and a memorial service will be held on Saturday, January 19, 2019 4:00PM at Benson Funeral Home. The family will be receiving friends on Saturday, January 19, 2019 from 2:00PM - 4:00PM at Benson Funeral Home. To send flowers or a remembrance gift to the family of Mr. Charles Edward Cole, Jr., please visit our Tribute Store. "Email Address" would like to share the life celebration of Mr. Charles Edward Cole, Jr.. Click on the "link" to go to share a favorite memory or leave a condolence message for the family.